To me life coaching is about seeking support for any blocks and frustrations or areas that you just can’t seem to push through to a new or higher level on your own. We really ‘don’t know what we don’t know’ and for this reason in 2014 and 2015 I attended one of Dee Littlewood‘s seminars plus some 121 coaching in 2015 to blast through an area of my life that I just seemed to be stuck. To be honest Dee addressed, explored and taught me how to move through the issue with such elegance, grace and ease that I am still in awe thinking back. Dee is an exceptional life coach but I much prefer of soul coach to describe her. No matter who you are or where you are at in life Dee has a beautiful way of drawing out the blocks you maybe repeating and teaches you how to release these and move on to move closer to your goals, dreams and aspirations. I highly recommend her. 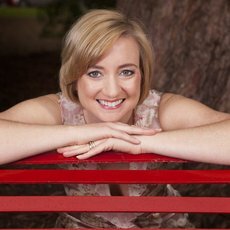 As General Manager, Life Master Speaker and Practitioner Trainer for Holistic Wellness Coaching Institute she runs a one day event called ‘Life Mastery Seminar‘ in locations Australia wide.